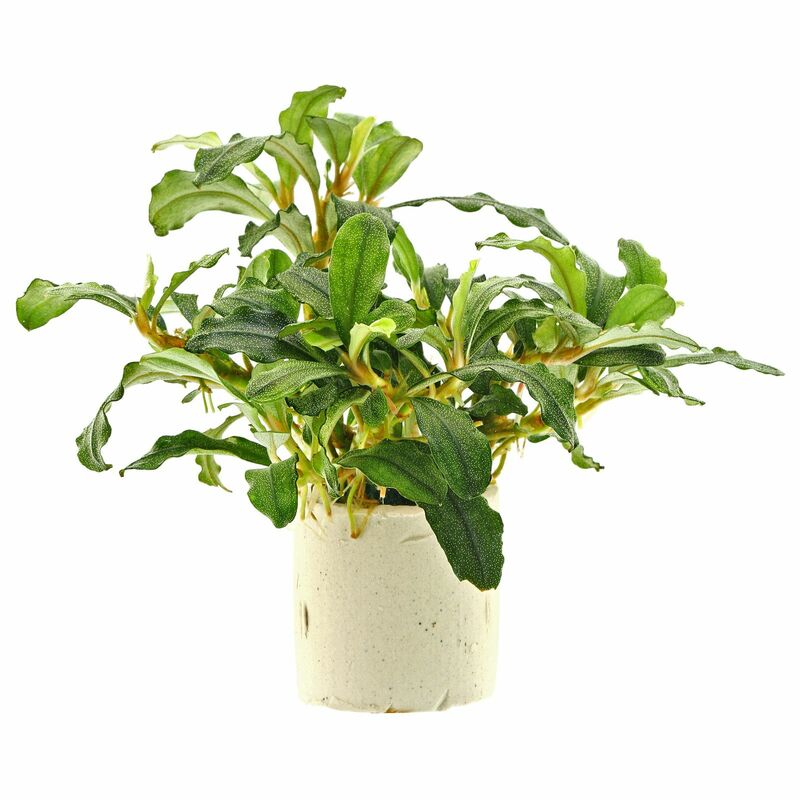 "Biblis Green" is a decorative, compact, relatively small Bucephalandra form. Its species identity and exact origin are unknown to us; as well as other Bucephalandra, it occurs on rock along fast-flowing rainforest streams on Borneo. We propagate this Bucephalandra in our aquaria for more than one year. The rhizome branches intensely and grows rather ascending under water, creating a dense bushy habit. The leaves are to about 3,5 cm long, broadly spathulate, obovate to oblanceolate, with short stalk. The somewhat glossy leaves show dark to medium green tones. Under water many silvery spots (the stomata) are visible on the upper sides of the leaves. Bucephalandra sp. 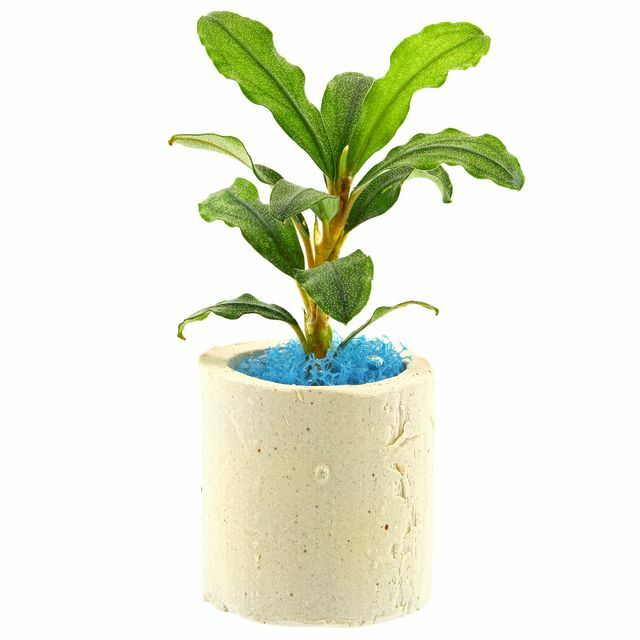 "Biblis Green" is not demanding, however it looks best with moderate lighting, good CO2 and nutrient supply and water current. The growth is very slow. This plant is primarily an epiphyte for the hardscape but can also be fixed to the ground (the rhizome not buried!). It is easily propagated by cuttings of the stem tips and branches. With its pleasant, bushy look, this Bucephalandra is interesting for the planting of the hardscape. Larger stands with many heads, grown undisturbed for a longer period, are particularly beautiful.